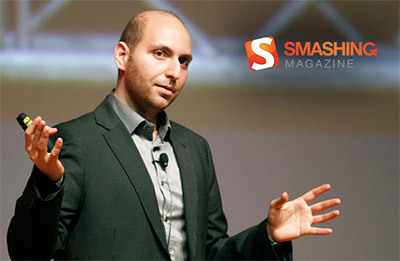 Vitaly Friedman is the Founder and Editor-in-Chief of Smashing Magazine, an online magazine for professional web designers and developers. What direction will UX go in the next 5 years? Will it fragment into different areas or stay as is? It’s a very good question. I feel that we see a lot of diversification right now. At this point today, it’s not enough to be good—many sites and apps out there are good. You have to be great, and it means diving deeper into psychology, the magic of delight, and potentially gamification.